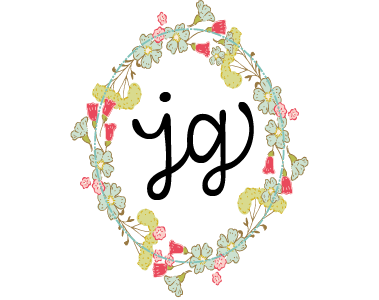 You might have noticed (though I doubt it) that things here on the blog have grown quieter and quieter. Less post, less ta-da moments. There are a multitude of reasons for this change, but one of the larger ones, one of the heavier ones, is that I have been lost as to how to keep this place authentic. Authentic to who I am, authentic to what I am wrestling with, AND authentic to what floats my boat. 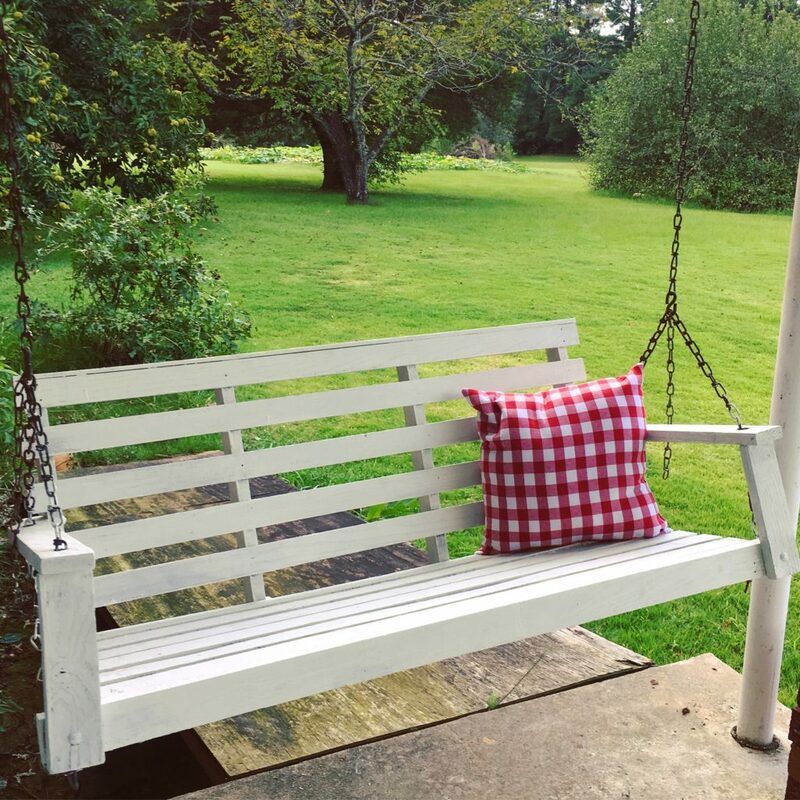 You see the current state of our country feels incredibly heartbreaking and serious to me, And yet, at the same time, I am hanging porch swings and buying new throw pillows. I am devastated by all the hateful words that clutter my feeds and I am buoyed by trips to the county fair and my work in the football concession stands. 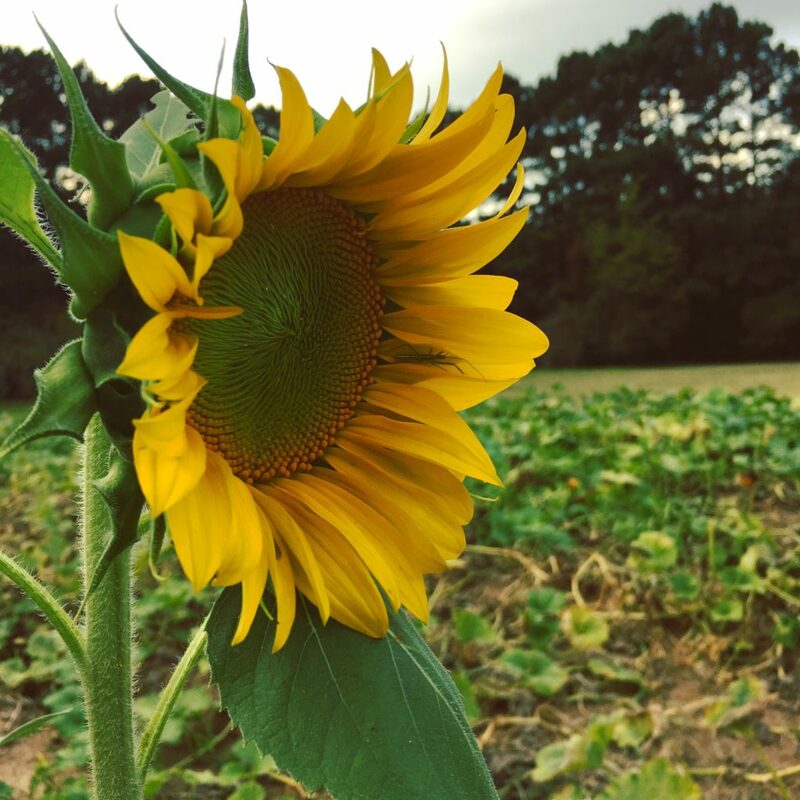 I am grieving for Porto Rico, and I am thrilled by the sunflowers blooming in my yard at long last. Until now I haven’t known how – or what – to write here. I haven’t known how to hold both truths in the same hand. Another hurdle for me has been, how can I, through this little online space, live out what I believe my call is – to help others (and myself!) 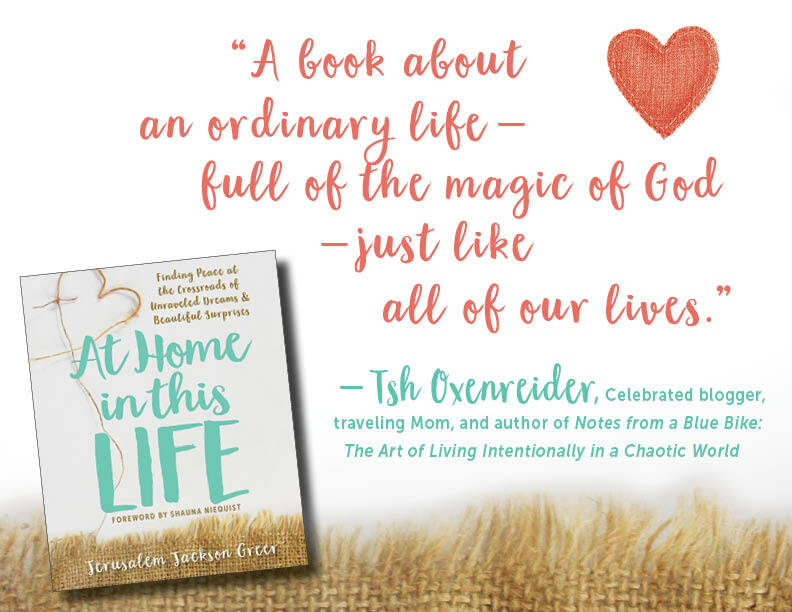 develop daily domestic discipleship practices that help us see, experience, and share the simply sacred moments of God’s goodness in our everyday lives. How could I do this in a practical, creative, sustainable and meaningful way? And then, boom – Holy Spirit Light Bulb Moment! The beauty of the Examen is that it allows for both the beautiful and the hard. The pain and the joy. Neither need to be denied or minimized. This way of praying also helps us to remember that God is present in our sadness and our joy, in our fear and our courage, in our unknowing and in our boldness. This way of praying creates a mindfulness, an awareness that God’s presence (which is love and life in and of itself) is with and in us always. This inner knowing is what roots us to the present, helping us to see, celebrate, and learn from the simply sacred moments of each day, instead of living a pie-in-the sky denial or collapsing into a cynical heart. 1. Become aware of God’s presence in and around and through all things. 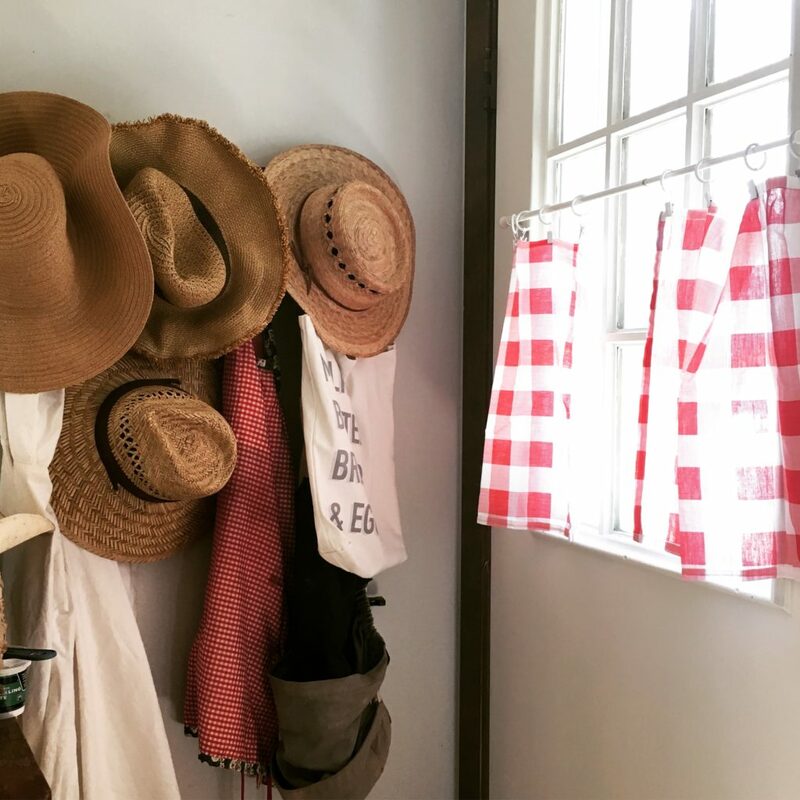 This week, and ever since we hung it up, I have felt God’s presence in and around and through me and all things most acutely here on my porch swing. It has been sitting here, on this very swing, where I have felt clouds part, questions answered, and fears soothed. I don’t know if it is because it forces me to do nothing but listen (I get motion sickness, so no reading or scrolling for me out here,) or if it is because I can see the pond and the sight of water is always healing for me, or if it is the musical squeaking tune of the old chains as I swish back and forth, back and forth that calms the restless chatter inside my head. Whatever the cause, this is the place I have met God most of often this past week. 2. Review the week with gratitude. Use the Thank you, Thank you, Thank you, prayer if needed. Recently we have started hosting a small group at our farm. It is chaotic (often as many kids as adults) and messy (kids, dogs, guinea hens…) and I am not sure we have accomplished much in the way of authentic community (I am a terrible small group leader and so I battle feelings of failure on this front before I have even failed!) BUT we have met twice. And everyone came back the second time. No one has quit yet. 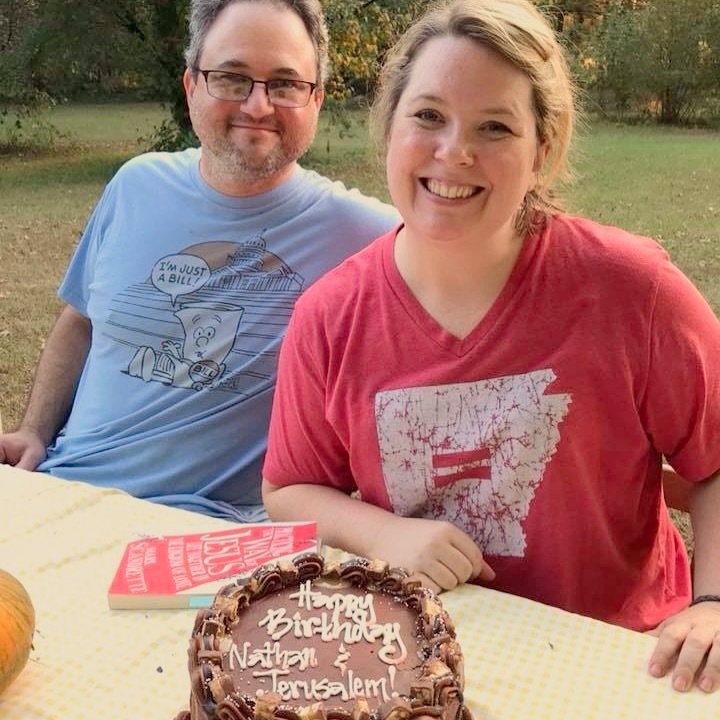 And this past week they brought Nathan and I birthday cake. And they help clean up the kitchen afterwards. And they leave when they need too and stay late when they need too. And I for all of this and so much more (especially the kids chasing the guineas and picking the pumpkins) I am so so grateful. Regular community around my table is something I have been longing for lately, and I am so very thankful that these people have agreed to try this framily experiment out with us. And that they seem excited to come back again. 3. Pay attention to and name the emotions from this week. A week ago (I cannot believe it was a whole week ago, it seems like three days) Sweet Man and I ran away for our birthday and took a day trip to one of our favorite parts of the state. 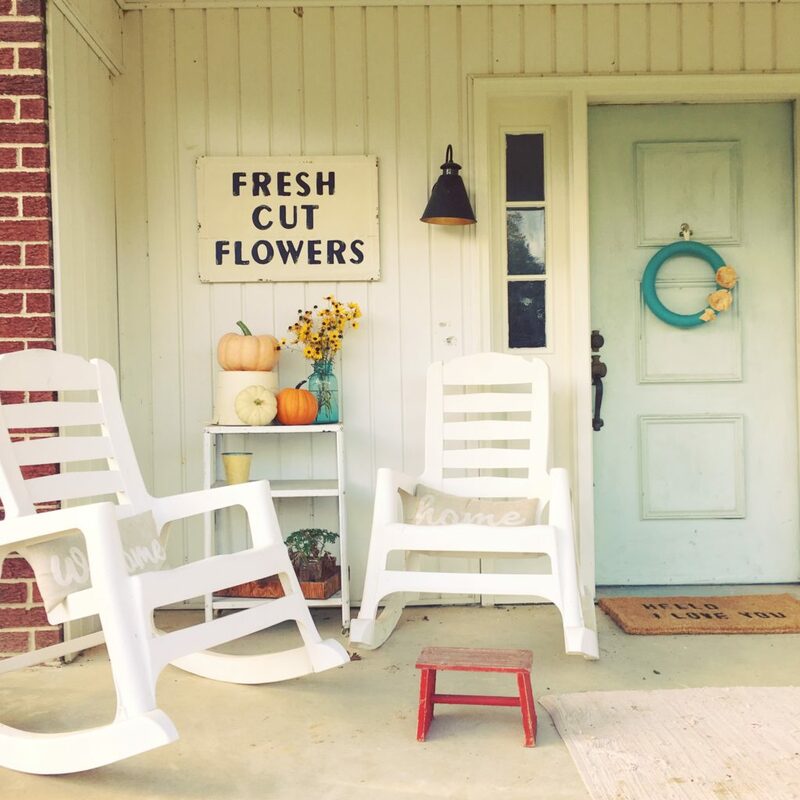 We shopped at a friends boutique (yay Fresh Flowers sign!) ate AMAZING food, stood in front of masterpieces, saw a small town homecoming parade, and just enjoyed the heck out of each other. It was such a beautiful and unexpected day of joy and refreshment. I think I have been living off those emotions most of this week. But I have also felt frustration with work related things, sadness for a co-workers loss, anger for not being understood, and peace in the middle of uncertainty. They have all come to me at different times, none is more valid than the other. 4. Choose one hard truth from the week pray from it. Ask to see God’s presence in the midst of it. One hard truth from this week is the weight and responsibility of raising teenagers was heavy this week. Raising babies is exhausting physically and emotionally (mostly because you are SO FREAKING TIRED!) but raising teenagers is like playing a high stakes game of chess against the yourself. You have to hold everything loosely and be incredibly thoughtful and intentional all at once. This week I had coffee with a friend I hadn’t seen since college, and we talked about our kids faith journeys and the ways in which our approach to sharing our faith with our kids looks the same and different from how our parents shared their faith with us. In the middle of that part of our conversation I was reminded that yes, I really do believe that God holds each of my boys in his hands. I do believe that God is at work in their lives in very unique ways, ways I cannot always see, ways they may not see, but ways all the same. This is something I forget a lot. Or maybe I don’t forget it, but I don’t live as if I remember it. So this week I am praying to remember that God is at work in my children’s lives. That God loves and holds them close. That God loves and holds me close as I parent them, imperfectly, messily, intentionally. 5. Look toward tomorrow with freedom and hope. 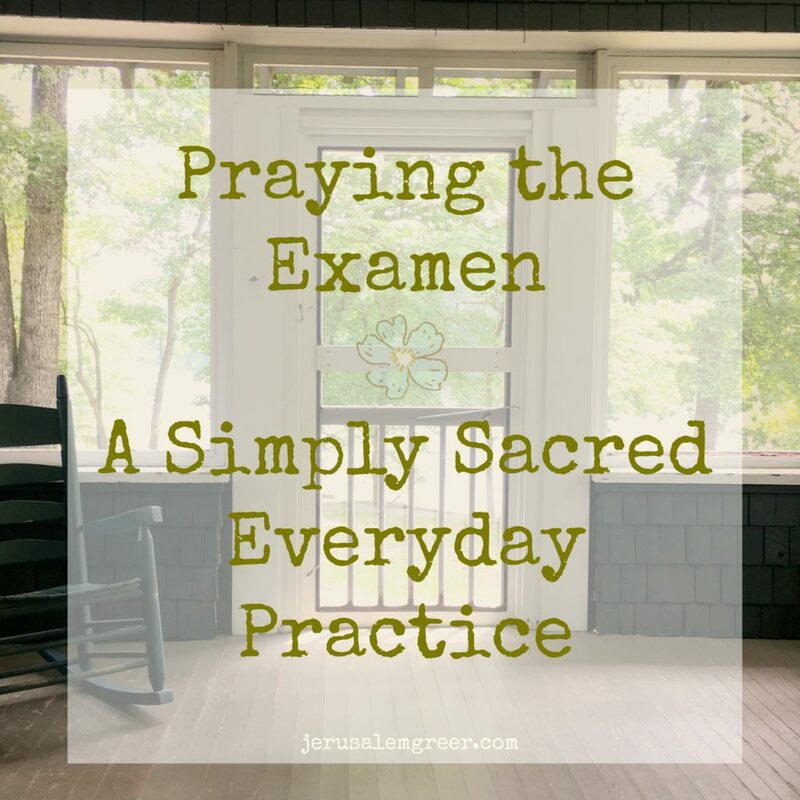 To this end I have created a Praying the Examen printable as a free download! Simply save the picture below, OR download it as a PDF in the shop! 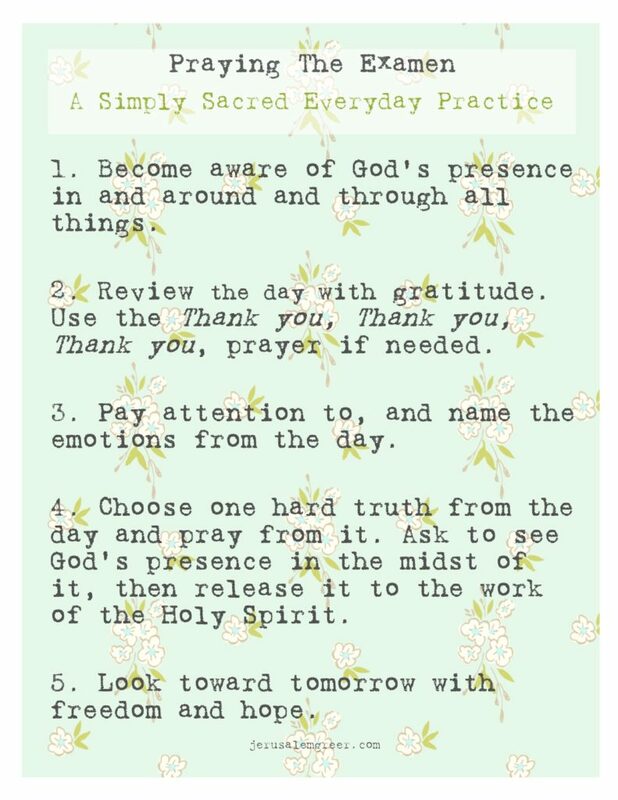 Pin it to your home screen, print it out and stick it in your planner or beside your bed, and use it daily or weekly to lead you in praying through the hard and beautiful sacred moments of your life. From now until Advent (December 3) I am planning to post here at least once a week, and I will be following this pattern as my own simply sacred practice. Praying with my words and images, sharing where I am struggling, what I am grateful for, and where I am seeing God in the beautimess… I don’t have any idea if this plan will produce “good” blog post or not, but I have an inkling that it will produce healing and hope in me. And maybe in you too. 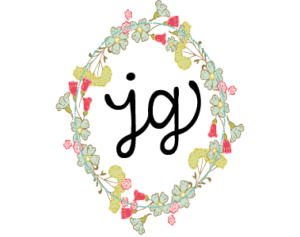 And more than good blog post, hope and healing is what I need most right now – don’t you? Want more ways to practice prayer in the simply sacred everyday? Check out At Home in this Life! Thank you for bringing me back to the Examen! Perfect timing. Thank you for your blog post too. I hadn’t heard of this prayer but OMW – it is perfect for right now. Thank you for introducing it to me.